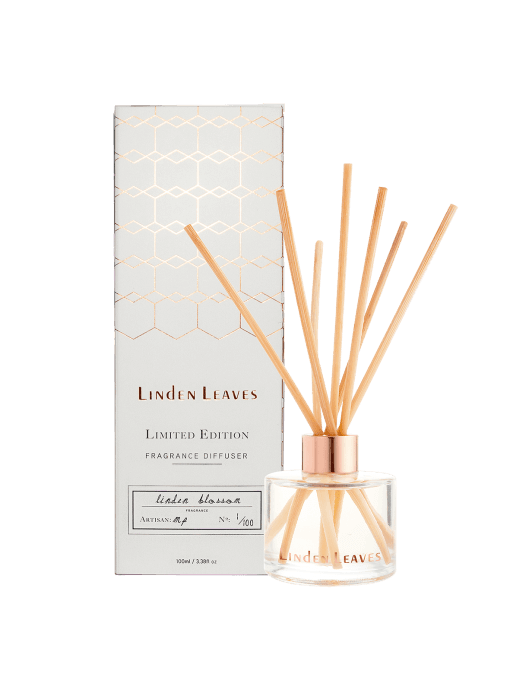 Limited Release this season, this beautiful Linden Blossom Fragrance Diffuser will add ambience to any space. Limited Release this season, this beautiful Linden Blossom Fragrance Diffuser will add ambience to any space. Made with love in New Zealand and individually signed by each artisan craftsperson. Beautifully boxed in ready to gift copper foil design.